Lesco, originally known as Lakeshore Equipment and Supply Co., is a division of John Deere Landscapes. Started in 1962, the founders started by offering turf maintenance equipment and eventually fertilizer and seeds. Now Lesco is known throughout the United States for its quality lawn care products and services for both homeowners and lawn care professionals. 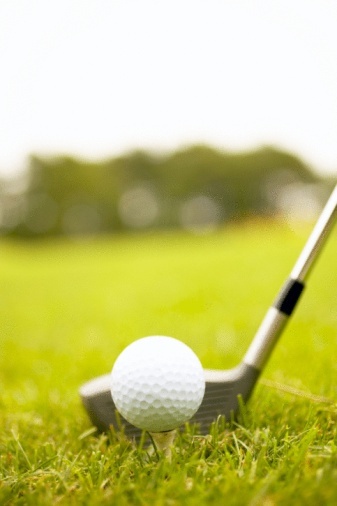 Lesco supplies golf courses with grass seed. A good grass for home lawns, this grass will stay green all year round in a climate with a mild winter. It is also a sturdy grass for playing fields. It has a coarse texture and clumps as it grows. Lesco offers Biltmore, Bravo, Hunter, Kentucky, Magellan, Padre and Stetson Tall Fescue types. Bluegrass is the most commonly known type of grass for both home and professional lawns. It is a good cool-season grass and does not need a lot of maintenance. It will go dormant in hot weather but is not recommended for places where the climate is very hot for extended periods of time. Bluegrass is generally not suited to shady areas. Lesco offers a variety of bluegrasses including Kentucky, Blue Velvet, Midnight, Nuglade Kentucky, Supina Supranova and Shamrock. Annual ryegrass does not overwinter in cold climates, according to American Lawns. This type of grass grows quickly and is well suited to be a temporary ground cover. It is used most often as a forage plant for animals. Lesco offers one type of annual rye seed. Perennial ryegrass also makes a suitable temporary ground cover. It is often used in warm climates as an overseed to keep a lawn green when summer grasses go dormant. It is a cool season grass not suited to hot climates as more than an annual. It is not drought tolerant and requires a lot of mowing. Lesco offers Greenville, Harbour, Manhattan, Midway, Allsport and Prosport varieties of perennial ryegrass. A fine fescue is, according to Purdue University, a fine-leafed grass used for both sunny and shady areas. It germinates quickly, is easy to establish, but can lose its color quickly in a drought. 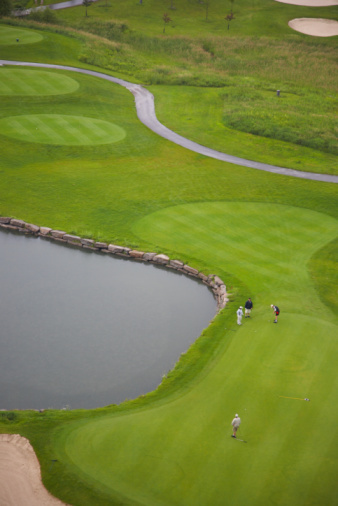 Creeping bentgrass is used throughout cooler climates for a golf course style lawn. It has a fine texture, is soft and carpet-like, according to the Purdue University Extension. It is also a high-maintenance grass needing constant attention; otherwise, it loses its luster. Creeping bentgrass needs to be mowed and watered frequently and also needs a lot of fertilizer.